When you use rubbing alcohol in the recipe, the result is that the spray has a very distinctive odour, much like being in a doctor's office. This isn't usually desirable in a quilt studio! Some of my YouTube subscribers suggested that I try vodka in the place of the rubbing alcohol and you could then add essential oils to personalize its scent. I did and the results were great! To learn more, watch the video below or on my YouTube channel. If you don't already have the FREE downloadable recipe to make your own Multi-Purpose Quilt Spray - with or without vodka - be sure to get it now. For more information on the many uses of the Multi-Purpose Quilt Spray, watch the videos in this playlist on my YouTube channel. It's really a handy product to have in your studio! If you've used the Multi-Purpose Quilt Spray for some of your projects, let me know the result in the Comments below. P.S. If you're a quilter and haven't yet joined my private Chatterbox Quilts' Facebook group, I'd love to have you join us. 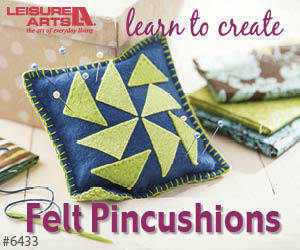 Learn and share with other quilters in this exclusive group.